Our client a downtown law firm needs an experienced Patent Agent or Patent Litigation Associate with an Electrical background who can commit to several months working on a patent litigation trial. Must have prior experience with reviewing prior art and document review. Candidate may even be considered for a full time permanent role after a few months. Hourly salary will depend on experience. Please email your resume and salary requirements on an hourly basis to lglorig@roberthadleyassociates.com. Our client a Plaintiff's Personal Injury firm in Queens is looking for an experienced Plaintiff's Attorney with 2-5 years of experience. If you are looking for a home where you can grow, then this is the right position for you! This is a great opportunity if you are comfortable working in a small firm environment and want to take on more! All qualified candidates must have the following experience to be considered for the position. Firm is close to the A train and there is parking available.  Please email your resume, references, and salary expectations in confidence to lglorig@roberthadleyassociates.com. Our client, a large well-known law firm, is currently recruiting for a Commercial Litigation Associate with 2-5 years’ experience to work in their midtown Manhattan Associate. Must be licensed to practice in New York; NJ Bar is a plus! Construction Litigation experience is highly preferred. - Licensed to Practice in NY; NJ Bar admission a plus! Our client a regional law firm with offices in NY and NJ is seeking an attorney with 2-5 years of Landlord/Tenant/Real Estate Litigation experience to join its Uniondale, Long Island office. Our client a regional law firm with offices throughout NY and NJ is seeking an associate with 1-3 years of experience of defense litigation practice to join our Hackensack office. Would consider any experience so send who you have. Must be admitted to NJ with NY a plus. • Handling and managing litigation files from inception through trial. • Preparing motions and memorandums of law. • Preparing pleadings, discovery, demands and responses. Our client, a boutique midtown law firm needs to hire an experienced Personal Injury Associate with 4-5 years of experience at either a Personal Injury or Insurance Defense firm. Caseload includes motor vehicle, labor law, and general liability matters. The ideal candidate will know all phases of litigation, including client intake, drafting and reviewing pleadings, motions ,discovery responses, expert exchanges, legal research and depositions. Must be driven and self- sufficient, under supervision of partners, to handle a reasonable caseload. Candidate should have experience with a case management system – they use SmartAdvocate. They prefer that you are Spanish bilingual and have trial experience. Our client offers health benefits, 401K, and Commuter Benefit Plan.